If I could be a hoarder of chocolate bars I would have a closet bursting with Reese’s peanut butter cups. 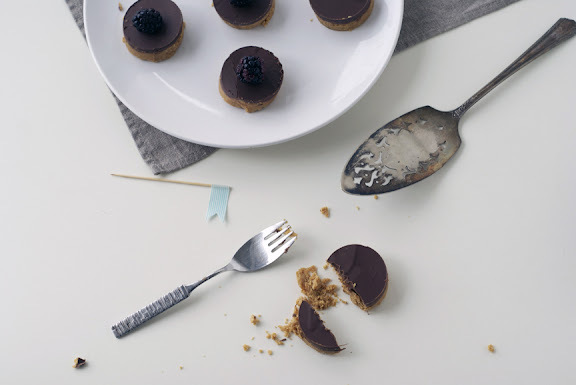 Salty sweet peanut butter, milk chocolate… even the cute little “puck” size. The cool thing about this recipe – “no baking required!” Just a little stovetop melting of things, some throwing of things together, some mixing and spreading and chilling… then some serious peanut butter cup snacking! Who knew graham cracker crumbs were the key to making homemade P&B cups taste so much like the classic store-bought cups?! Brilliant! 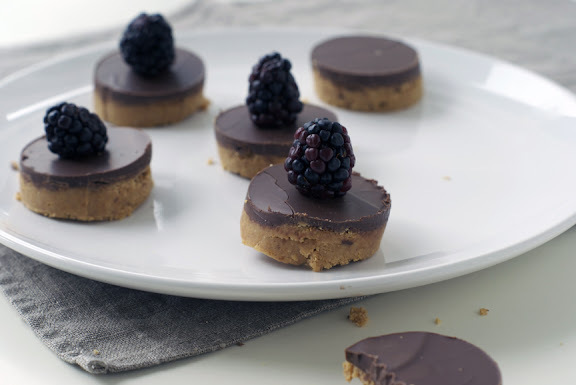 Make these for your next holiday party and you will make new friends: peanut butter and chocolate loving friends! 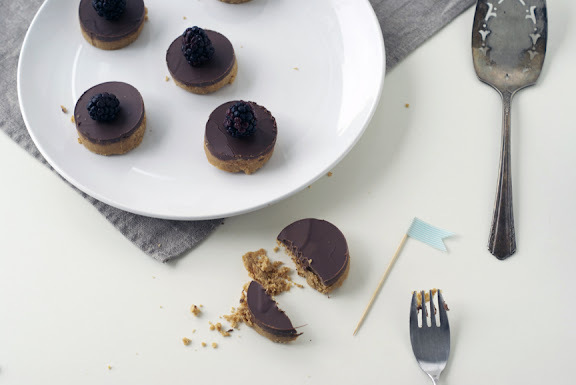 These can also easily be made vegan or gluten free by using vegan/gluten free graham cracker crumbs and substituting vegan margarine for the butter, and using dairy-free dark chocolate. You will need a 9 x 12 inch baking pan. In a saucepan on the stovetop, melt 1 cup of unsalted butter. In a stand mixer on low setting, or mixing by hand with a wooden spoon in a medium bowl, mix together melted butter, graham cracker crumbs, icing sugar, peanut butter and vanilla extract until combined. Pour into the baking pan and spread evenly along bottom of pan. In a double boiler/bain-marie (or using a ceramic or metal bowl over top of a saucepan of low boiling water), melt the chocolate. 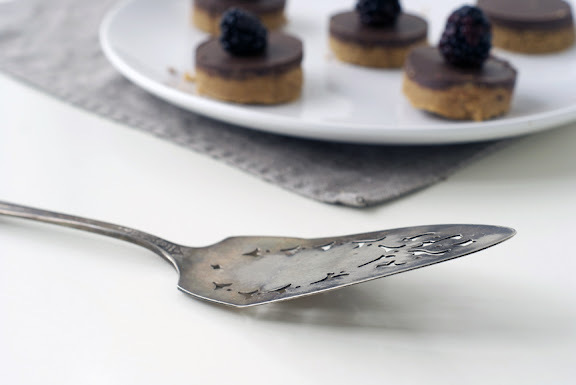 Pour melted chocolate on top of graham cracker layer and spread evenly. Place in refrigerator to set, about 30 minutes. 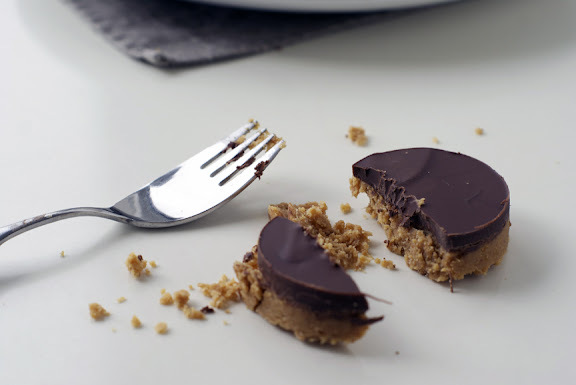 Using a circular cookie cutter, punch out circle shaped peanut butter cups! Or just cut out into squares (or some sort of shape!) with a knife. 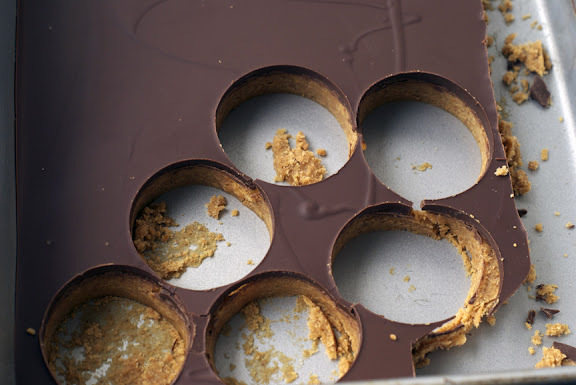 Note: if your fridge has set the peanut butter cups so the chocolate is too hard, let it sit out for 15 minutes before punching out with cutters! 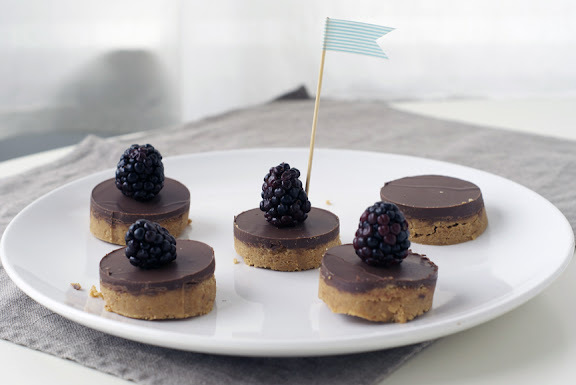 I decorated with blackberries which gave it a bit of a peanut butter and "jam" vibe!